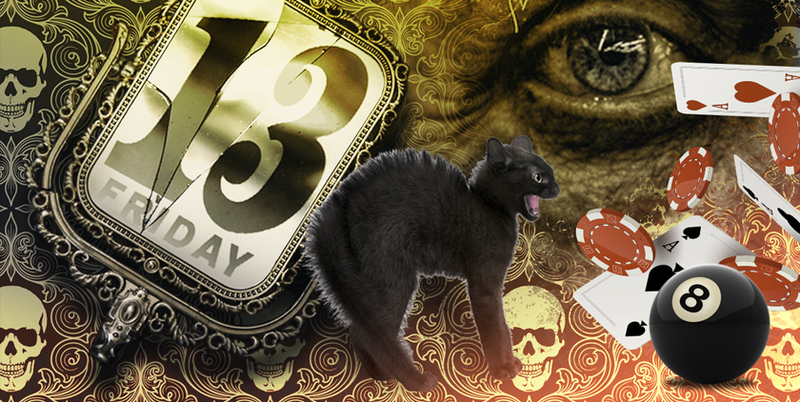 The number 13 has long been considered unlucky, however the significance of Friday the 13th is more of a Western superstition. There are many theories about the origins, including a 1907 novel about a Wall Street broker, the story of Jesus’ crucifixion and a series of arrests made in the 1300s. No matter which story you believe, or whether you believe at all, Friday the 13th is a day we all take note of on the calendar. So we decided it was the perfect opportunity to find out how superstitious our athletes are. My #1 superstition before hitting the gym is blasting Kanye West’s “Power” to get in the zone. I have to do abs at least three times a week, maybe more. I just can’t help it! It’s the best burn you can get in a workout! Every competition, when it’s my turn to face the curtain, I read every word I see from the sponsors. If I don’t, I feel like I have no chance of winning. I’ve done this in every show, from my first where I took home 1st, to the two National shows where I placed in the Top 5. My lucky number is 4, so I look for it everywhere, especially when I compete. When I am in line to get my number, I cross my fingers hoping for a 4 in the number. If there is not one, I look for multiples of 4 or numbers that can be multiplied, added, divided or subtracted to get 4. Call me crazy, but when I see a 4 in my number, I can breathe a sigh of relief! I’m superstitious about the number of reps I do. I have to do 50 (heavy) or 100 (lightweight) total reps for each exercise or I feel like it doesn’t count! I also sew a Virgin Mary medallion into my suits for my competitions. I absolutely have to wear the same competition earrings and bracelet from the first show I competed in and won. I once switched them and received second call outs, so now I stick to my day ones! I have to listen to my favorite song when I go for my 1 rep max tests. The song is “Work This Body” by Walk the Moon. It always puts me in a happy mindset and gives me those good vibes before lifting some heavy weight! NEVER leave the house without headphones! Every time I don’t have them, I have a terrible workout. In college, I used to carry a rose petal from the last home game of my senior year in my softball helmet, and didn’t wash my socks all season long. Now, I wear the same bracelet every show and listen to the same song to pump myself up before I get on stage. I have to wear gray leggings on leg day because they make the booty look bigger and I feel even stronger. I always have to chew gum and have my favorite playlist on before my workout. I have to work out with a hat on, whether it’s a Dad hat or a snapback. I feel absolutely naked without it! Wiping down the machines isn’t just good hygiene. I 100% believe that if you don’t wipe them down, the Gains Goblins will take away any progress you have that day! Every time I squat I have to wear my Reebok Nanos. Before each set I have to take a sip of my BPI Sports Best BCAA™, kick my heels on the ground three times and spin the bar backwards before I get underneath it. I have to have Chapstick and gum before every workout, or else I feel like it won’t be a good one. NEVER use 2.5 lb. plates! They are bad luck! I always wear a sports bra that I made that says “Beast” during my last few workouts before a competition. I feel like it pushes my workouts when I’m exhausted and drained and feel like I can’t push any longer. If the bar isn’t lined up parallel with the lines on the floor when I’m deadlifting, I spend the time to adjust the bar until it’s perfectly in line. Otherwise, it just doesn’t feel right. I must have my American flag around my neck with the flag facing behind me. I have to spike my hair before every session or else I just feel off. Look good, feel good! I always need to have my wrist straps, some Best BCAA™ and my music. The more Jay-Z the better!